The use of plants as medicine has existed since prehistoric times. Literally sources give evidence of the use of medicinal plants as far back as 3000BC in ancient Egypt, India, and China. Despite the thousands of years of success of certain plants as medicine, the FDA strictly prohibits making claims on such products, making it difficult for medical providers to properly inform their patients and instead leading them to use “FDA approved” products which often include harmful and even deadly side effects. Coleus forskohlii is a plant native to subtropical and warm temperate habitats and a member of the mint family. The plant has been used since ancient times as a medicinal herb in India, which is also believed to be the place of its origin. Coleus forskohliihas been grown in India, Nepal, Burma, Sri Lanka, and Thailand. The genus Coleusincludes nearly 200 species distributed in tropical and subtropical regions. Of the 200 species of Coleus, only Coleus forskohlii contains forskolin, a bio-active compound with multiple pharmacological benefits. Although forskolin has been known for its wide range of health benefits, its unique activity as a non-adrenergic stimulatorof enzyme adenylate cyclase attracted the attention of researchers to explore its supportive role in managing body weight and promoting lean body mass. 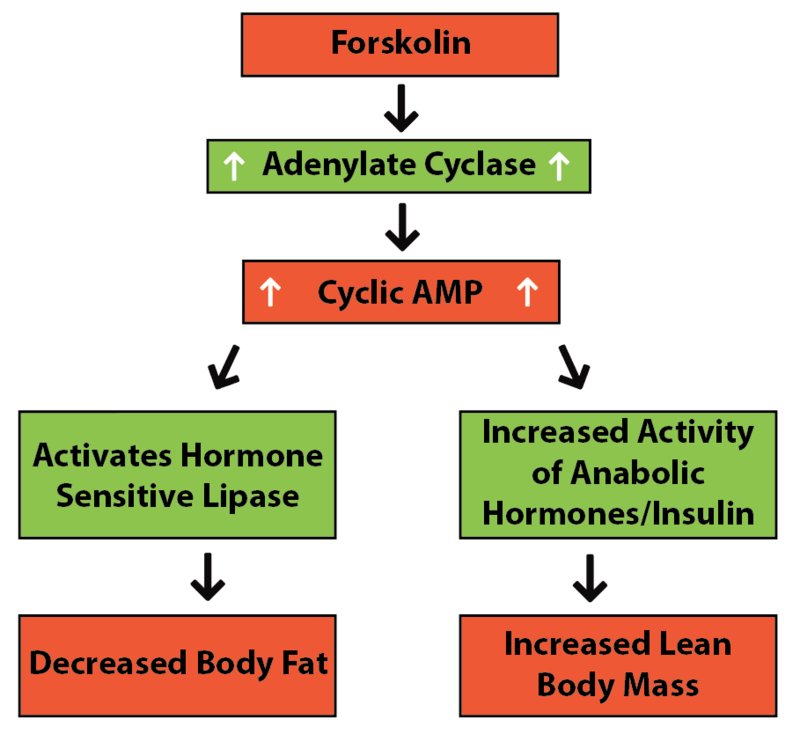 The primary mode of action of forskolin is by increasing concentrations of cyclic AMP (cAMP) through activation of adenylate cyclase, an enzyme involved in the production of cAMP. cAMP functions as a messenger which controls glycogenolysis and glycogenesis. Increased levels of cAMP leads to an activation of the enzymes protein kinase and hormone sensitive lipase. Hormone sensitive lipase is essential for providing energy by mobilizing stored fats through lipolysis. Many ingredients available for weight management that are designed to reduce body fat do so with little regard for, or at the expense of, lean muscle mass. This is undesirable because it is believed that an increase in muscle mass upregulate’s the body’s metabolism, as muscle requires energy to sustain its mass and in turn helps burn additional body fat throughout the day. Clinical studies have shown that forskolin use can result in enhanced lean body mass white promoting fat loss and improving overall body composition. An eight week trial involving six overweight women taking forskolin via capsule twice per day saw an average weight loss of 9.17lbs3. Body fat percentage decreased from 33.63% to 25.88% and lead body mass saw an increase from 67% to 74%. A double-blind, placebo controlled study illustrated the effect of forskolin on body composition. Thirty men were assigned forskolin or placebo for a 12-week trial4. Although the participants did not experience significant weight loss, the forskolin group saw a significant increase in lean body mass, from 61% to 64.7% and a decrease in fat mass, 35.17% to 31.03%compared to the placebogroup which did not experience any significant change in body composition. 2. Badmaev, V., Majeed, M. Coleus forskohlii: Fat-fighting and more. Nurition Industry Executive. 3. Badmaev, V., Majeed, M., Conte, A., & Parker, J. (2002). Diterpene Forskolin. NutraCos. 4. Godard, M., Johnson, B., & Richmond, S. (2005). 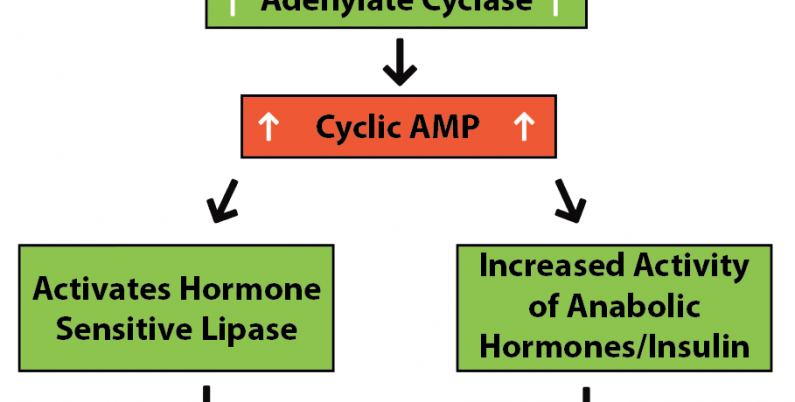 Body Composition and Hormonal Adaptions… Obesity Research.